This article appeared in the Daily Herald newspaper June 16, 2008. Linette George walks into a room of strangers and sees the people gathered there as different countries. She's at a networking event - and ready to go. George, "passionate about travel and learning about different cultures," and "not scared about meeting strangers" in a foreign land, has learned to equate a networking event where she initially knows no one to travel where she initially knows no one. Strange? A little. But the shift in George's approach, a mind-set change, has made meeting new business people easier. 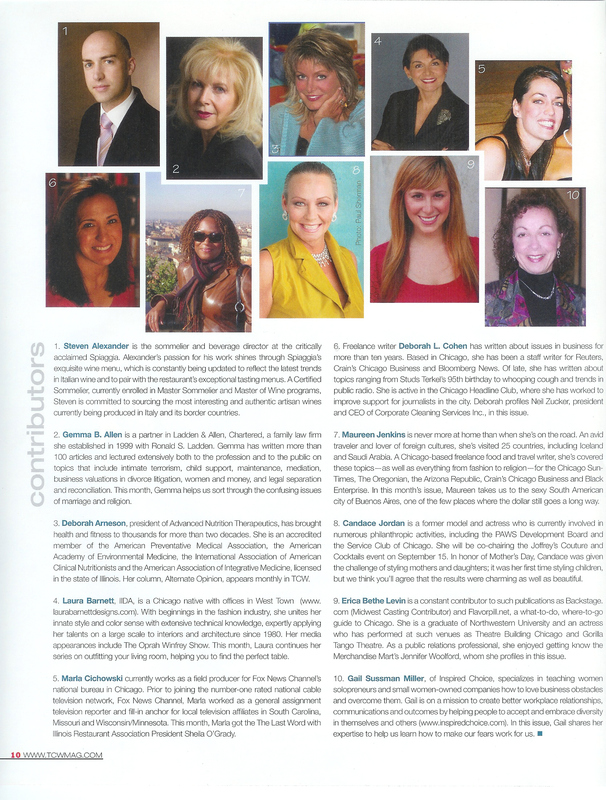 This article appeared in a local free magazine for saavy women in Chicago, called TCW, Today's Chicago Woman. 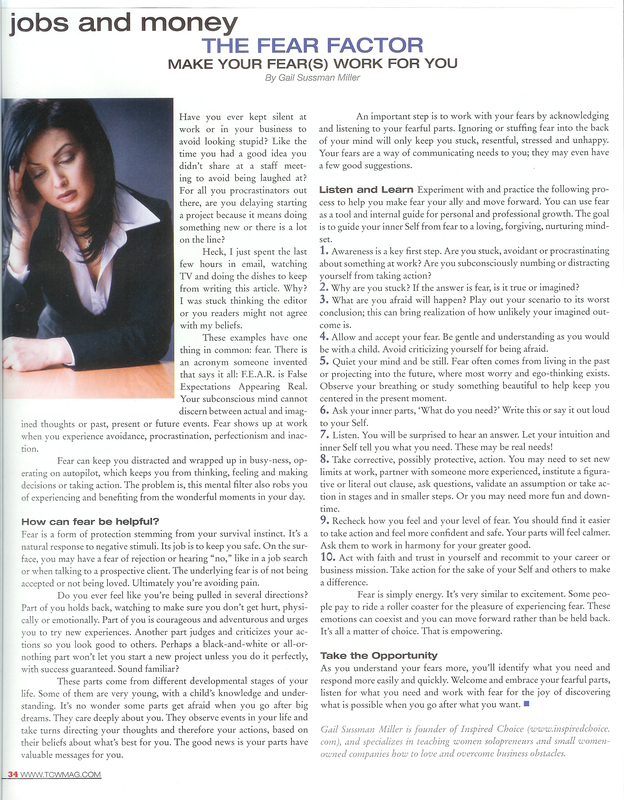 The topic of fear is a favorite of mine and many of the messages in this article come from my work with myself, my clients and my professional training. I hope you feel inspired to move through your fear with love as a result of reading this. Read the full article in the link below or download the article page and the bio page here. Share your reaction as a comment (below) or send me a message!